We are a family of three (mum, dad and teenager) who would be very happy to mind your small dog/s (up to about 12 kilograms) in our home overnight or for longer stays if you are going away. We fell in love with dogs when we got our own friendly little cavalier spaniels, Abby and Evie. Abby and Evie both just love to make friends with other dogs. That's why we are signing up to mind your dog in our home. 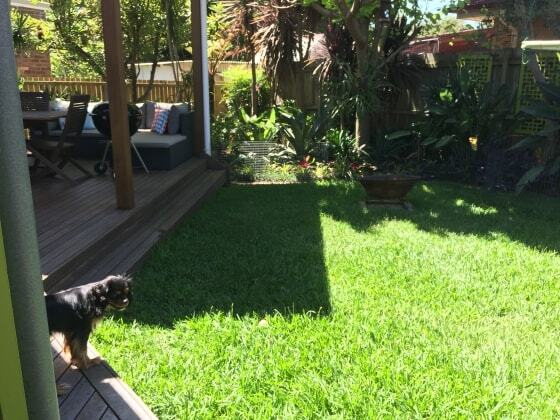 Our home is a free-standing house in Ashfield, with a very secure backyard (excellent fences and gates). We have a large undercover deck and a medium-sized lawn, so there is room to run around and plenty of shade. We can take your dog to the local dog-park if you would like us to, or simply just walk and play with your dog. Your dog is always welcome to join us on the couch. He/she will be treated like one of the family and will be happy and well looked after. We also know how important it is for you to feel confident that your dog is happy, so we'll send you photo/text updates everyday so that you don't miss your loved pet too much. So if you have a smallish dog, please drop us a line if you are going away, and we hope we can accommodate you. Thank you to Deborah, Matt and Olivia for taking such good care of Hank our cavalier. To be honest I think he's bored being back with only his human owners. He had the best time with Abby and Evie and various other doggie friends. Deborah went out of her way to buy Hank's special food when he ran out and we really appreciated that. Would definitely use this lovely family again. They were awesome!